The 10 Best Casinos in Arizona! Winning is everywhere. Are you in? Raise your expectations. These are just a few of the enticing slogans behind some of Arizona’s best casinos. The thrill of blackjack and the sounds of a winning slot machine all inspire hope in the lives of a gambler. Next time you get your paycheck and give into your primordial urges, don’t go to Vegas. Instead, head to one of these convenient casinos located in our very own desert. This luxurious Scottsdale casino feels like the closest thing Arizona has to a Las Vegas casino. They attract top-level comedians and performers, have raging pool parties, and the top-level club Degree 270. Their casino includes 50 table games, 800 slot machines, and the Arena Poker Room–home to the Arizona State Poker Championship. Ak-Chin is a top destination in Maricopa. This 300-room hotel includes roughly 150 rooms, a lush pool area, swim-up bar, and an entertainment center including a theater, bowling alley, and dining options. They also have a large gaming area with a bingo hall, keno parlor, poker room, and nearly 1,100 slots. This towering 10-story hotel located in the Tucson desert is a hot spot for southern Arizona gamblers. The resort includes the AVA Amphitheater–a renowned entertainment venue that attracts A-list talent. Additionally, they have six lounges to unwind with cocktails. Their casino includes 24 table games, 1,300 slot machines, and a poker arena. Table games have a wide limit—ranging from $5 up to $1,200. Wild Horse has an assortment of features that surround their gaming experience. The hotel includes the 1,400 seat Ovations Showroom, legendary NFL coach Don Shula’s “Shula’s Steakhouse,” and the trendy Chrome Nightclub. Their casino has over 40 gaming tables for wide ranging games including Blackjack and Fortune Pai Gow Poker. Their poker room includes 25 state-of-the-art poker tables surrounding by 30 TVs. Twin Arrows is a northern Arizona casino with picturesque views of the San Francisco Peaks. This casino opened in 2013 and has some of the newest features of any local casino. Twin Arrows has some of the latest in gaming and they have debuted many new slot machines. 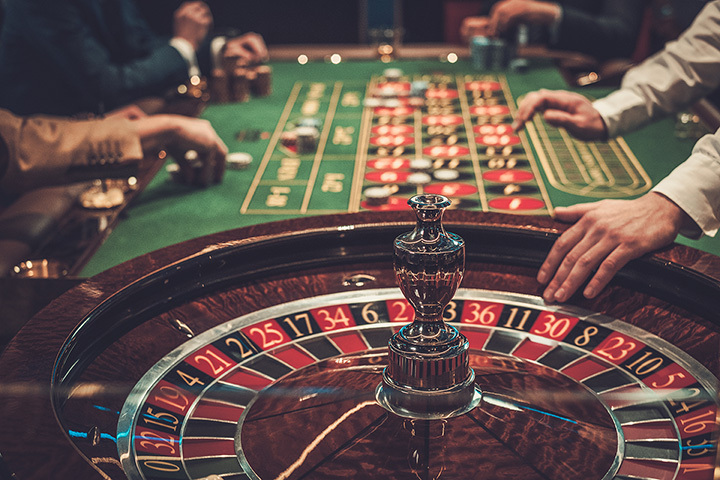 Their combination of fine dining, luxury amenities, and overall gaming experience earned them the honor of being the “Best Casino Resort Destination of 2013” by the readers of Experience Arizona Magazine. Their casino includes table games, 1,100 slot machines, and bingo Wednesday-Sunday. The Salt River Pima-Maricopa Indian Community runs both Talking Stick and Casino Arizona. In many ways, Casino Arizona feels like Talking Stick’s little brother. Though it may not have the glitz of Talking Stick, Casino Arizona is still an impressive casino. It has over 50 table games and 900 slots. They also host fun weekly events like Trivia Tuesdays and have eclectic meal options at the Eagles Buffet. The Fort McDowell Casino is located near the bourgeoisie area of Fountain Hills and has plenty of accommodations to keep their clientele happy. Fort McDowell encompasses a Radisson Hotel and Resort complete with a golf course, restaurant, pool, and spa. Their array of entertainment and gaming options include the Lucky 7 Saloon and live keno and bingo. Their 150,000-square-foot gaming area includes 866 gaming machines and 55 table and poker games. Lone Butte is a well-rounded casino for anyone looking to get in on the action. The casino includes a 750-seat state-of-the-art bingo hall in addition their 24 table games and 800 slots machines. Though Lone Butte doesn’t have a hotel, it does have four lounges. Their Big City Sports Lounge is a full-service sports bar and great location to watch a game. Elevated at 5,000 feet and sitting amid a sea of pine trees, this northern Arizona hotel and casino is a getaway location for Valley residents. Gamers can enjoy their 400 video and reel slots, video poker, and keno machines. Their table games include poker and blackjack and they host six regular bingo sessions per week. For visitors traveling with their families, Mazatzl has a gaming lounge for children. The Tiger’s Gaming Lounge has Playstation, Xbox, and more for kids to keep themselves occupied. Desert Diamond Hotel & Casino has an expansive selection of gaming, dining, and entertainment options. Their large selection of slots, table games, keno, and bingo make this a Tucson hot spot. In fact, poker and blackjack can be found here at all hours of the day since their tables are open 24 hours per day. They also have one of the hottest nightclubs in Tucson. Each weekend, Monsoon Nightclub comes alive with live DJ’s and big crowds.